This process will explain all the steps for a simple and basic creation using the Bool­ean features. Load the PolySphere.ZPR startup project which include only one SubTool. 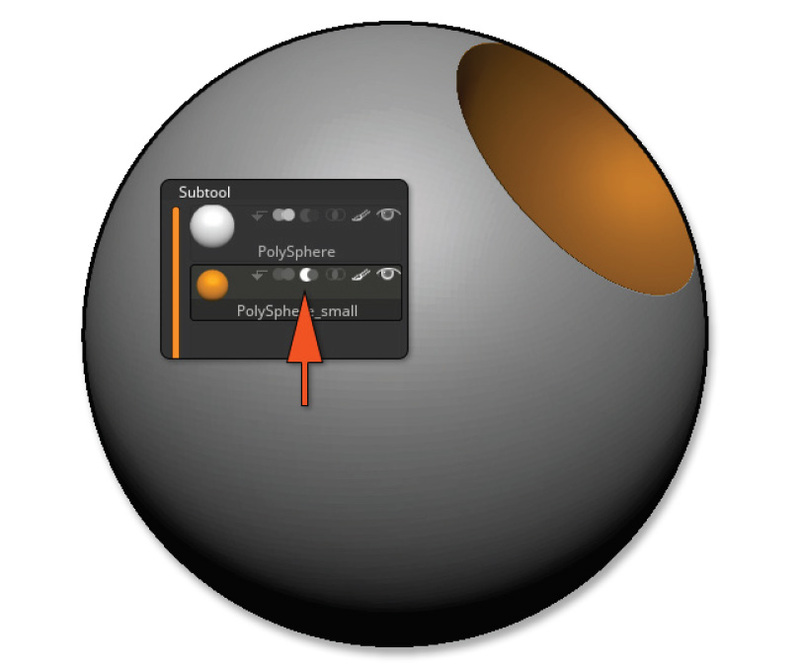 Click Tool >> SubTool >> Duplicate (CTRL+Shift+D) to create a new SubTool based on the original Sphere. 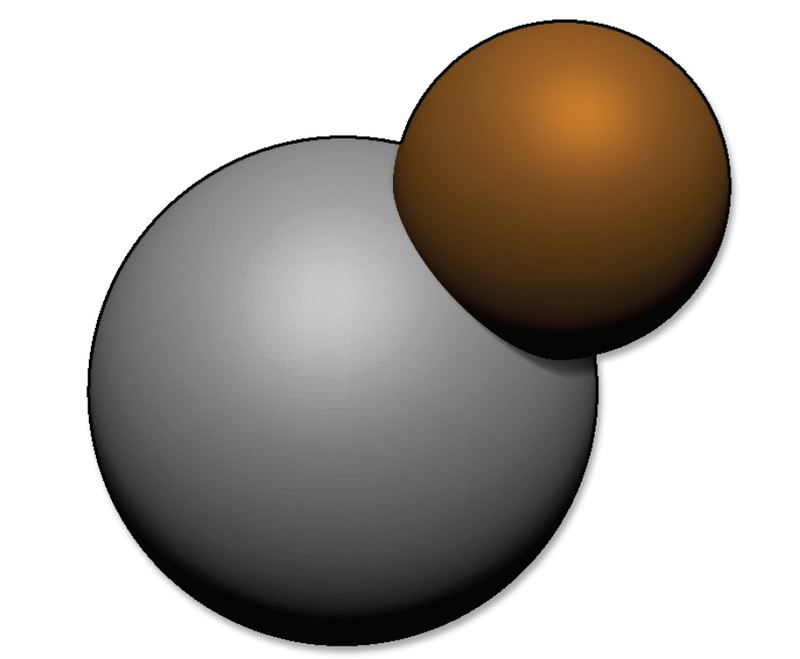 You should have two spheres overlapping each other. With the Gizmo 3D, move and scale the second SubTool so that it intersects with and is smaller than the first SubTool. The goal will be to subtract this sec­ond SubTool from the first one. The two SubTools next to each other. In the SubTool list, click on the second Boolean operator: Subtraction, then turn on Render >> Render Booleans >> Live Boolean. You should automatically see the preview of the Boolean operation with the second SubTool subtracted from the first one. Feel free to move, scale and rotate the second SubTool to see in real-time the result of the Boolean operation. Of course, you can pick a sculpting brush and use it on the second SubTool, seeing the modification happen in real-time. 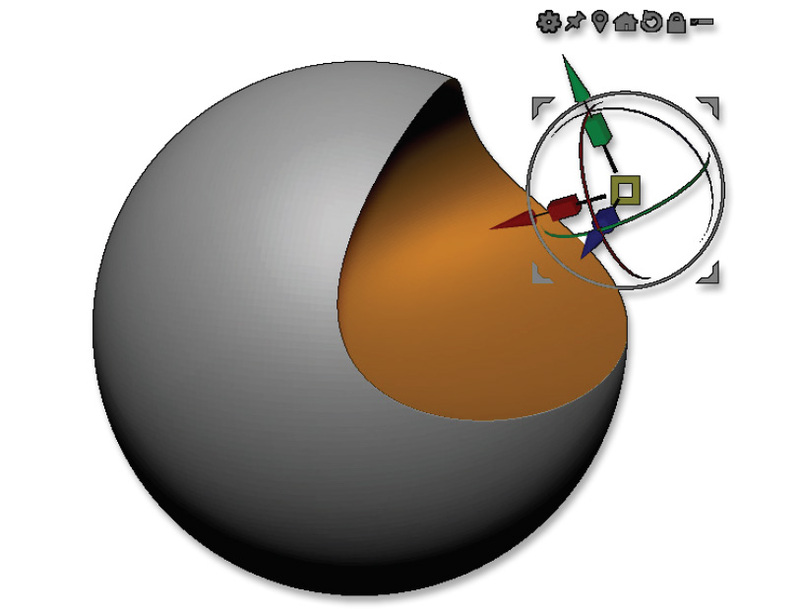 The second sphere has been scaled non-uniformly and rotated with the Gizmo 3D. You can see the results of your operation in real time thanks to the Live Boolean mode. Click Tool >> SubTools >> Boolean >> Make Boolean Mesh. After a few seconds, a new Tool will be created in the Tool palette, which will be the result of the Boolean operation. Select it view the results. This model can be exported to other software as needed. Note: If the Make Boolean Mesh function is not available, it is because the Live Boolean mode is not enabled or because your Tool is composed only of one SubTool. 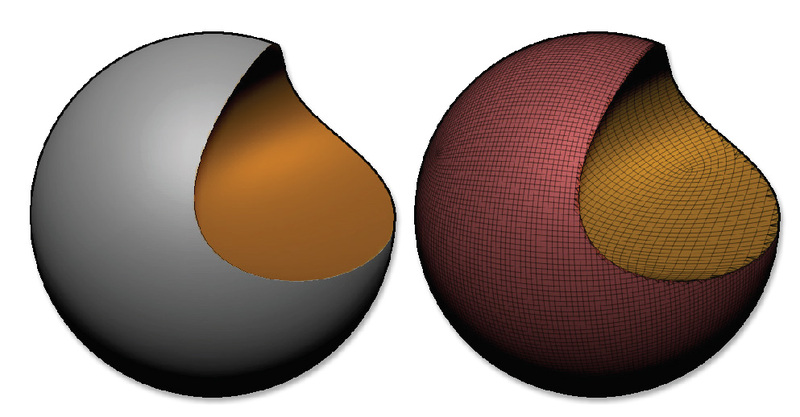 The result of the Boolean operation on the left, and on the right, the corresponding PolyFrame.